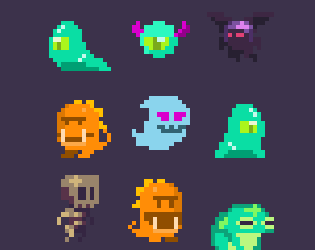 This is an add on for my Grotto Escape Pack of 4 new Monters Sprites totally animated. I really like your assets can i use them for commercial purpose??? like for any google play games of mine???? i'll surely put link to this there too in the game character's credits section.